Gain viability & insight to make the right decisions and improve your business -quickly! It’s simply a smarter way to work. 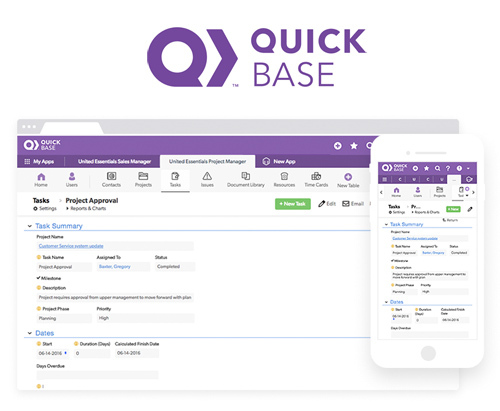 Businesses of all sizes find big time savings and reduced costs after implementing Quick Base. It streamlines your processes and makes your work day easier. Increase Efficiency – Accomplish more with less effort thanks to process time savings. Centralize Your Information – Connect disparate systems and access your data from one central place. Close More Leads – Reduce time-to-delivery and gain full insight on whole the sales process. Manage Teams – Keep everyone on the same page and working effectively together. Don’t have the time or internal resources to plan, setup and build your own app? We are Quick Base experts and can advise on suitable strategies to transform your business processes as well as implement them. 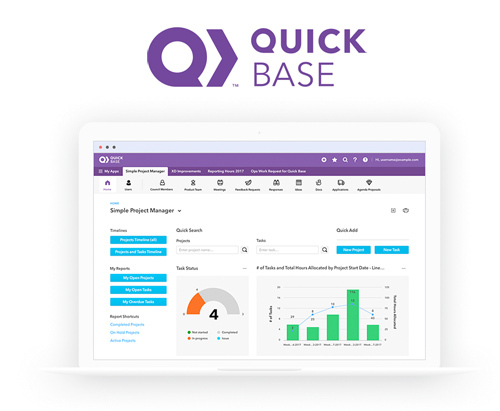 We help businesses by simplifying complex systems and delivering high-quality Quick Base programmatic solutions. We are open normal office hours and if we haven’t got the answer straight away we will get back to you – depending on the complexity, usually with you within 2-3 hours. You can contact us by email or by phone +44 (0)1747 820969 and a member of the team will be happy to help answer your questions and guide you through the process.